Ionic Push Notifications, once again. My previous articles on this topic had the most comments and questions ever, so as the way of using this has changed again a bit to the current Beta status, we will put everything from starting with dummy push notifications to real iOS and Android push notifications inside this article. This guide aims to help you set up push notifications for your Ionic app. Also I will append new questions to the final help section for something like the FAQ of Ionic push notifications. Without more words, let’s start the fun. Oh and if you want to grab a Postman collection with all the HTTP Requests you need for creating and observing Push notifications, just enter you email below! ionic plugin add phonegap-plugin-push --variable SENDER_ID="GCM_PROJECT_NUMBER"
We need a GCM project number for our Android app, but as we currently haven’t created something like this you can simply add it with the dummy string, or leave the part with –variable.. out for now. Alright, the basic is done, let’s connect our app to the Ionic.io services! If you have no account there, now is the time. It’s free and you need it in order to send Ionic push notifications to your app. First of all this will create an app id inside your Ioni.io dashboard, and we also enable Dev Pushes for our app to test if everything works until now. The name Dev Push is not really good and afaik they think about changing it to to Demo Push, hope we see that change soon! We could actually leave out more lines, but I think this is fine for now. We create a new Push object and register ourself. On success, we will log our device token which we need to send push notifications to. And that’s everything we need right now, so let’s see our app in action. To test our app we want to use the Dev Push, but before we need to add a security profile and create an API key inside Ionic.io so that we can contact the services from outside. So go to your created App inside the Ionic.io dashboard, click on Settings and in the submenu Certificates. We need to create a profile now, otherwise for me the push was not recognized (although it should work without a profile in this step, and previously did). As said before we also need an API key to talk to the Ionic.io services from outside, so now go to API Keys and create a New API Token in the upper section of the page. 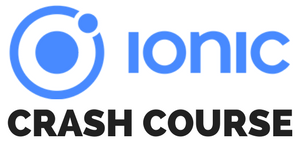 Now we are already able to send our Dev Push, so go ahead and run your app with ionic serve or on a device, and observe the log for our Dev Token! Insert those values into the command below, run it and you should see a message coming up in your browser! If you want it a bit more comfortable, I can recommend making those request with Postman, an awesome tool for testing APIs. The calls inside Postman for creating a dev push would look like the following. To use the platform specific services of Apple and Google we need to configure some profiles and stuff, but the integration within Ionic.io has really become a lot easier by now. So let’s take a closer look at both platforms (or pick just he one you need!). The setup for Android is even a bit easier, because the certificate-signing-provisioning stuff get’s a lot easier. For Android you need to be inside the Google Developers program, and you also need to set up some basic keys (if you have never created Android apps before) using this documentation from Ionic. – set GCM number for your project phonegap-plugin-push which we installed in the beginning with a dummy value. To make sure everything works correctly I recommend you remove the plugin and add it again but now with your GCM_PROJECT_NUMBER (which you can find inside your Google Dashboard). Also you n eed to add the android platform if you haven’t done already. From now on, we can only test our real Android and iOS Push Notifications on a real device! Also, in order to see that we got the push you currently need to close the app to get a notification because the Push inside an open app will be handled directly. If you app is closed you can see the little banner at the top, so that’s what we want to see if everything ins working. For iOS I recommend you simply build the app using ionic build ios and afterwards open the Xcode project. Why? Because we need the log message of our token. And I often had a hard time getting to the log using a different method than this. Coming from a native iOS background, Android was a bit tricky for me, especially getting the device token. So after running ionic build android you should find your APK inside platforms/android/build/outputs/apk/YOURAPP.apk. If you connect your Android device to your computer, you can now run adb install PATH_TO_YOUR_APP and have the app directly on your device. Finally, we also need the device token, so I opened the Android Device Monitor running just monitor from the command line. Inside the logs (have fun filtering for the right logs of your app!) you can find the token after the app starts somewhere in the onRegistration block just like in the image below. Ok so there you have it, the complete setup guide for Ionic Push Notifcations. This last section is now meant to help with some general problems you might encounter along the way. This section will be updated with new questions and problems you have! If you want to change the behaviour of how a push is handled inside your app and what options you also have, check out the Github repo of the phonegap-plugin-push . When you create your pushes and don’t receive anything on your device, you should always check the status of the created push using the UUID you get after making the POST. This helped me a lot to troubleshoot what was going on, and you can find a list for all the error codes inside the Ionic documentation.